Potter Jnr. Ashlar with swept slate roof. 4-stage tower with pyramidal roof. Norman style. bowl gone, 2 round-headed lights above with grilles. lourvres to each face. Roof with finial. Lands Trust, who built the tower over the redundant conduit. 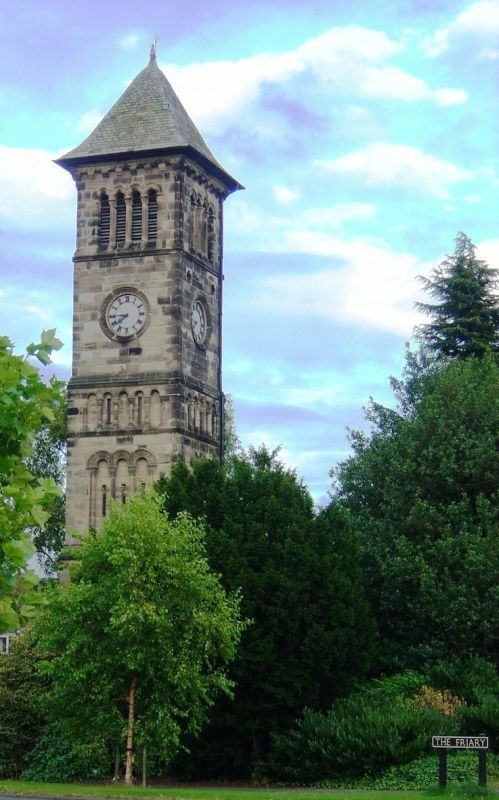 The clock tower is a notable landmark in the city. Cathedral City: Lichfield: 1977-: P.105-7).